We have begun to explore the different probabilities that humanity has in front of you, and we are noticing that more timelines have opened up in recent weeks. Now, these timelines are about bringing you all closer to one another, as becoming a unified human collective is showing itself to be more important than ever. 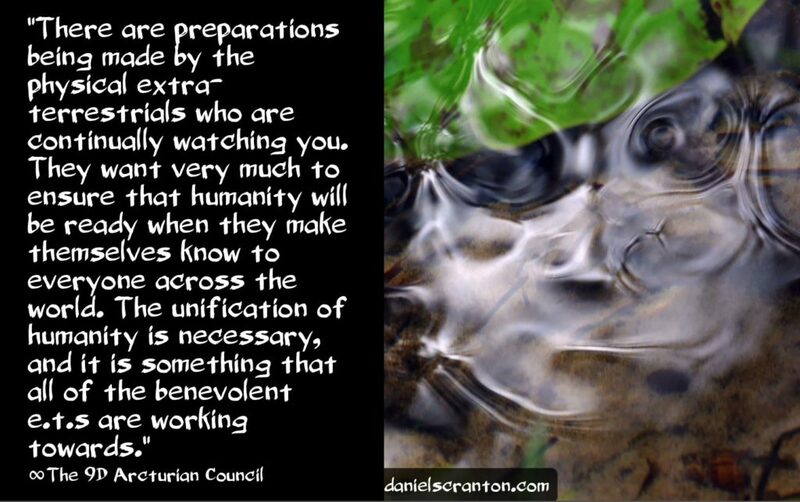 So there are preparations being made by the physical extra-terrestrials who are continually watching you. They want very much to ensure that humanity will be ready when they make themselves known to everyone across the world. The unification of humanity is necessary, and it is something that all of the benevolent e.t.s are working towards. We want you to know that all of us here in the non-physical are working towards that as well, and we can see how a global event could bring you all together. Now, you often do not agree on how certain situations on your planet should be addressed, but something like a giant meteor headed towards one of your large continents or oceans is something you could all agree upon as a bad thing. Now if something like this were to occur, it would either burn up when entering the Earth’s atmosphere, be destroyed en route, or it would miss and not impact the Earth in any way. A scare like that has the potential to bring you all together, just as ever natural disaster does. We are not saying this will happen, but we are giving you an example of a situation that could come up in the next several months that would bring you all together and prepare you for full and open extra-terrestrial contact.